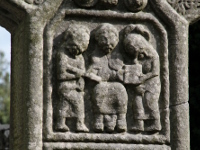 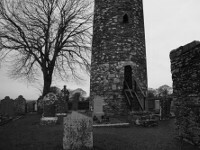 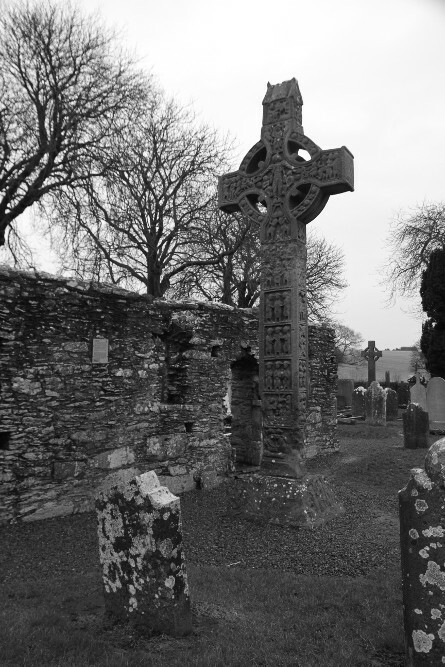 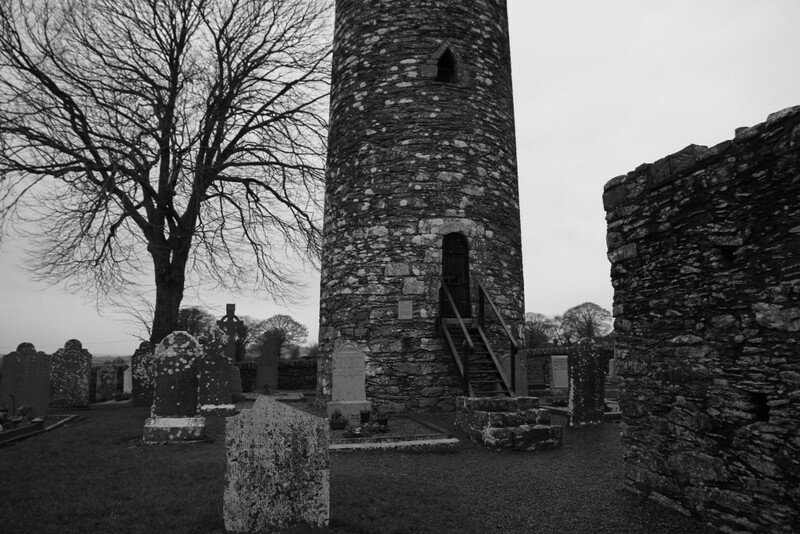 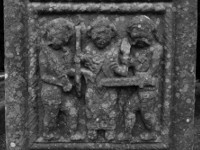 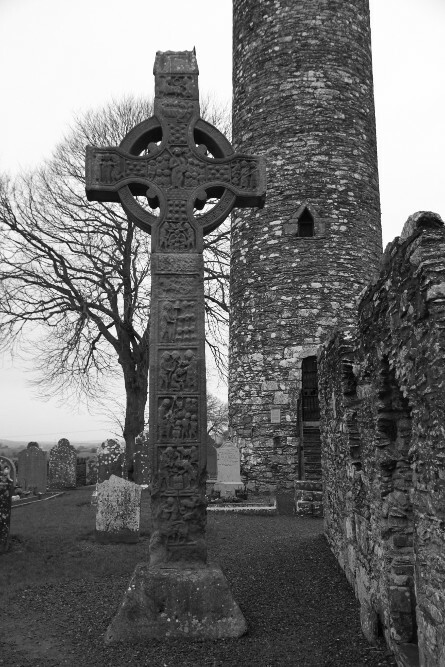 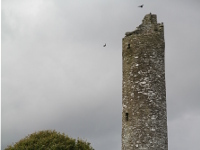 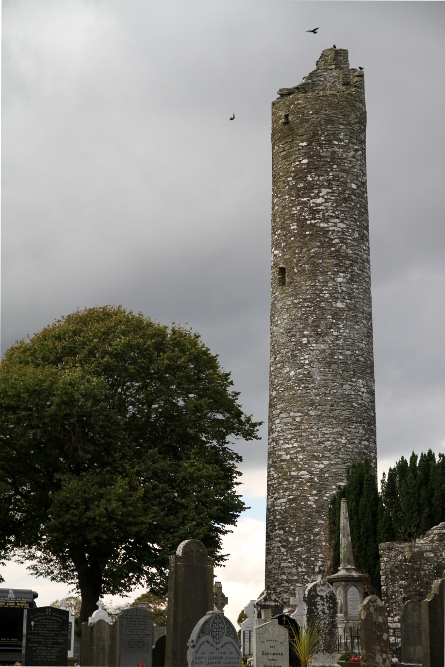 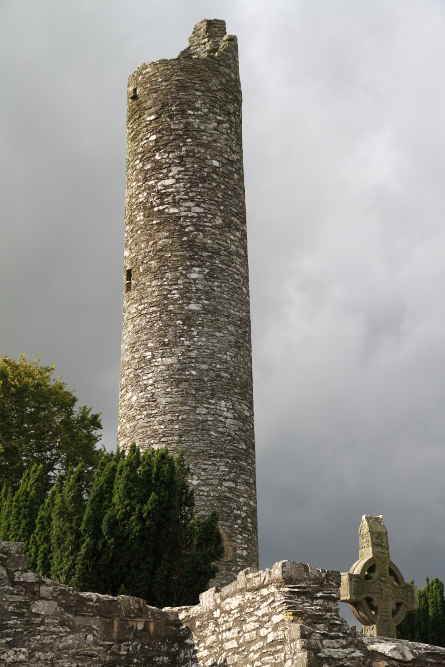 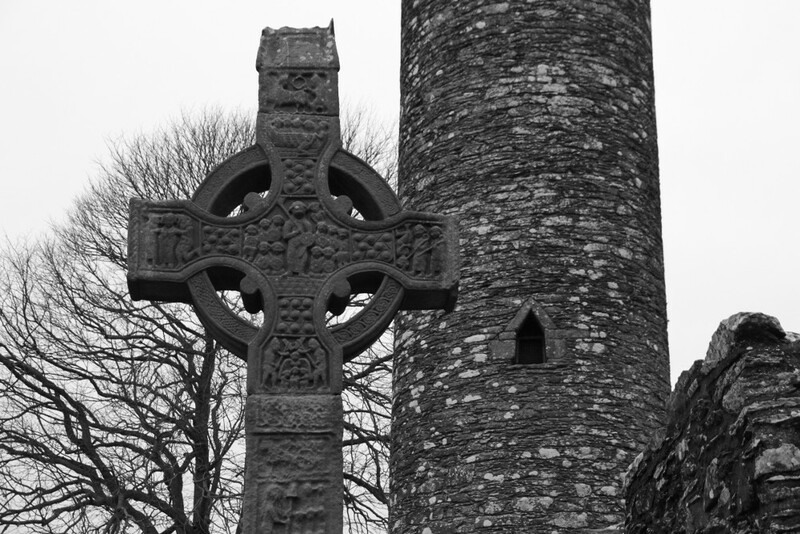 Monasterboice is a ruin of early Christian settlement located 10km northwest of Drogheda (just of M1 motorway). 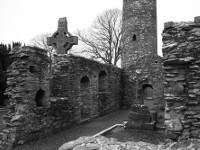 The remains of two churches dates from late medieval period but first monastery was founded here in 6th century by Saint Buithe. 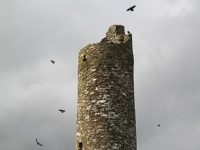 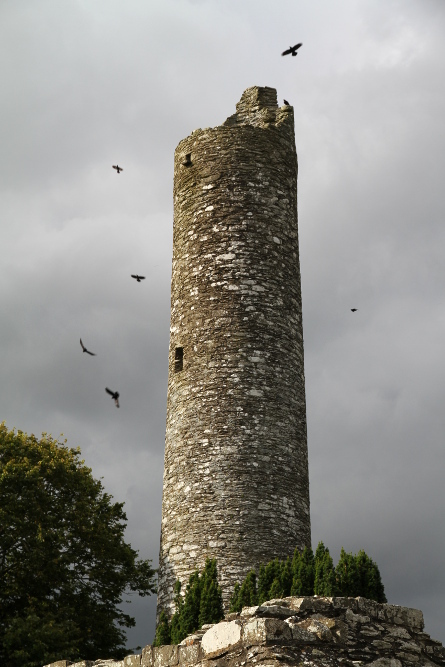 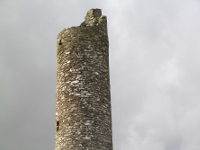 There is also 28m high, roofless round towrer, which was burnt in 1097. 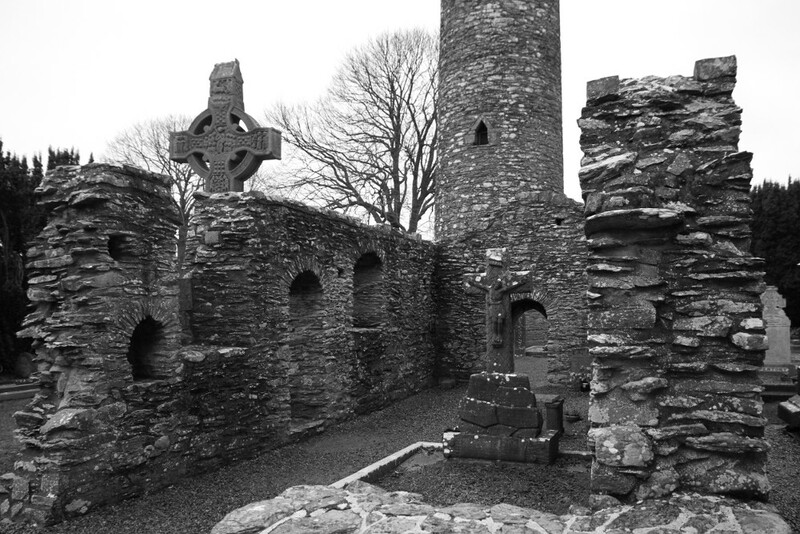 The monastery functioned until 1122, there are also records that it was occupied by the Vikings in the middle of the 10th century. 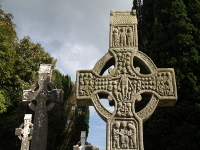 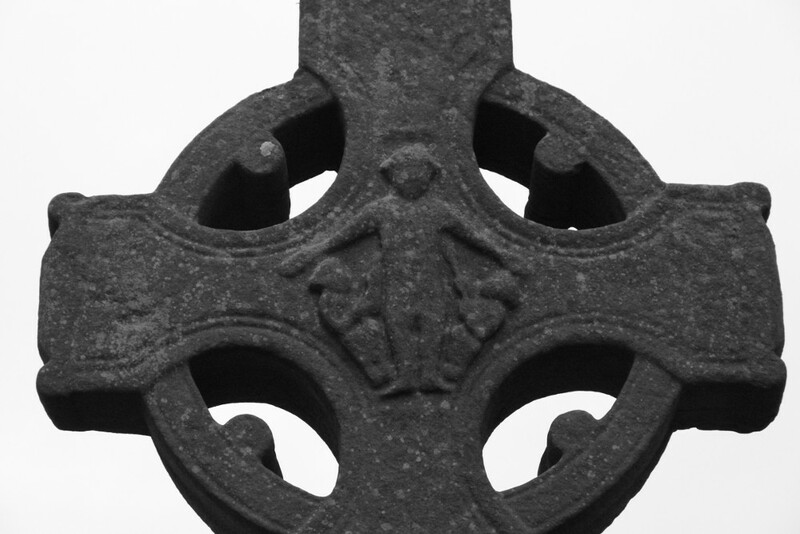 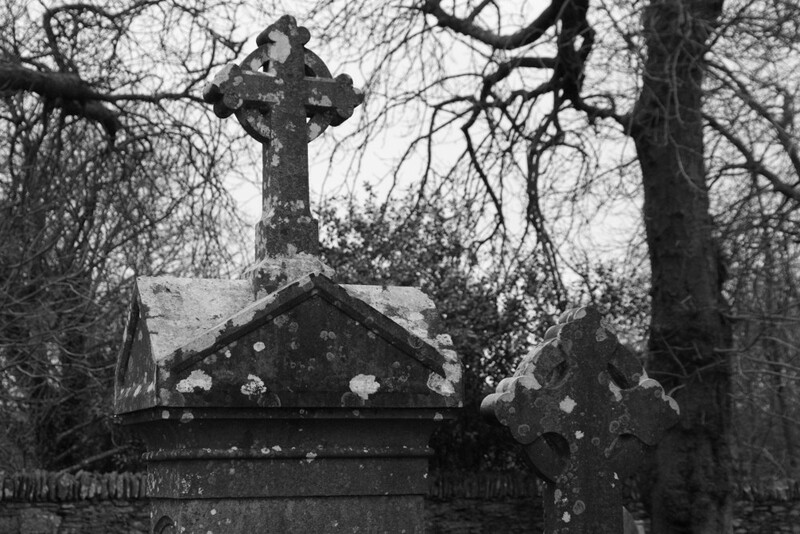 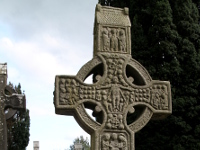 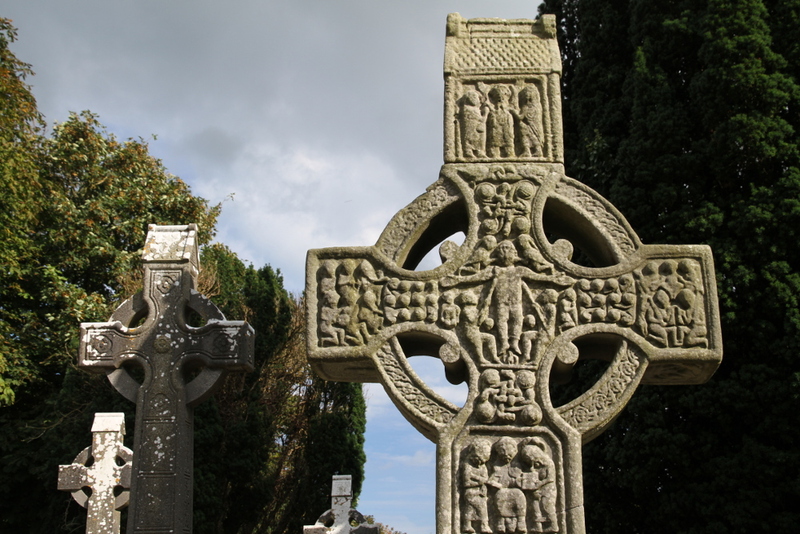 The main attraction of Monasterboice are with no doubt its High Crosses, two of the finest and best peserved sandstone examples in Ireland. 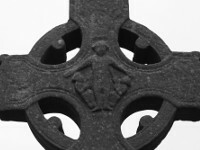 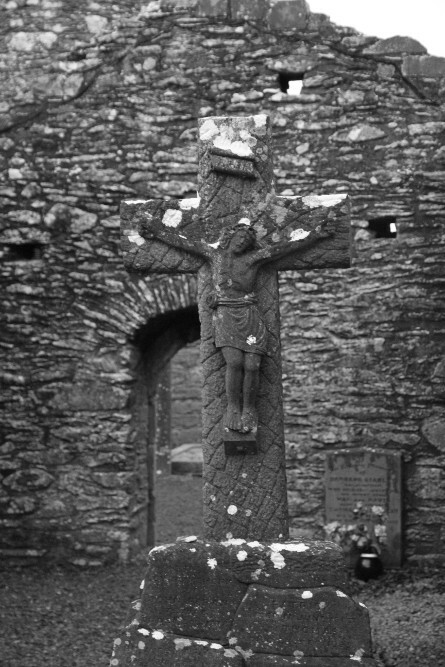 The South Cross is about 5.50 m high and dates back probably from early tenth century. 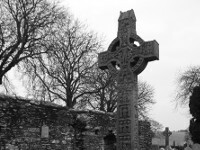 It is also called Muiredach's Cross after the inscription in Gaeilge carved on its base: "ÓR DO MUIREDACH LAS NDERNAD IN CHROS", what means "A prayer for Muiredach by whom the cross was made". 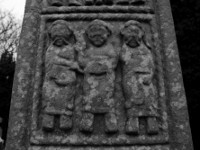 Probably he was abbot at the end of 9th century and died in 923. 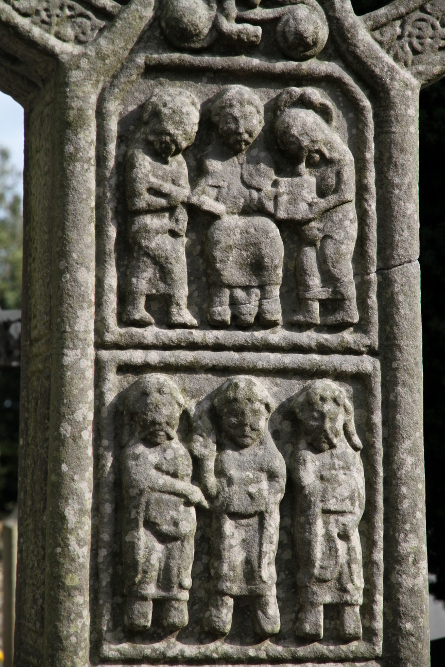 The cross carvings features biblical scenes as Adam and Eve, the Crucifixion, the Adoration of the Magi, the Archangel Michael weighing souls and Pilate washing his hands. 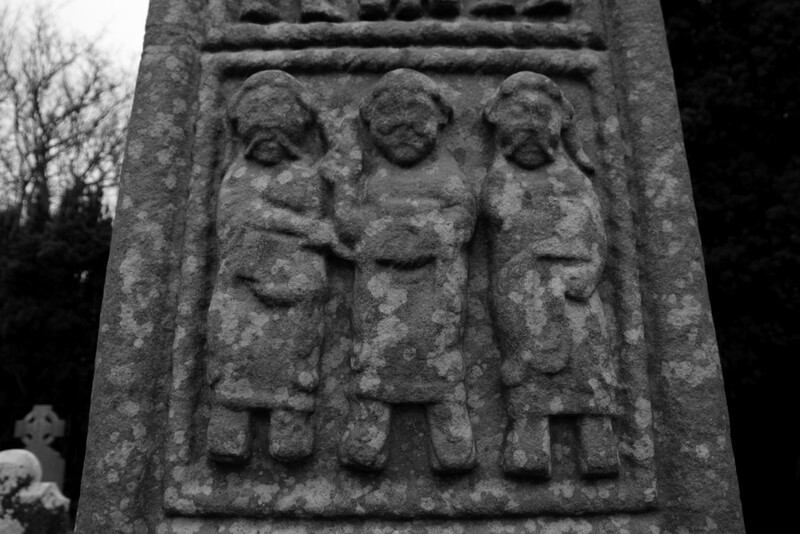 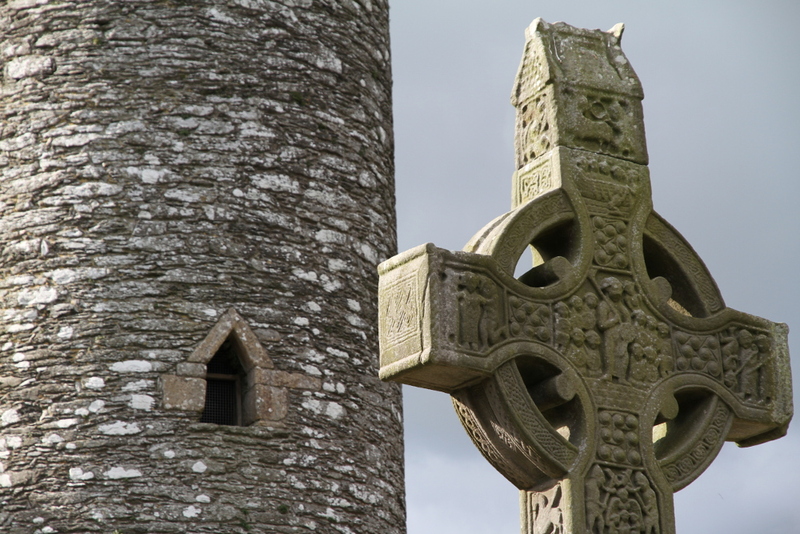 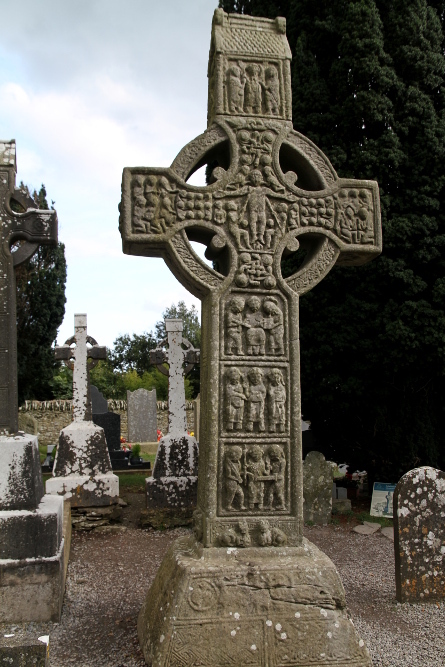 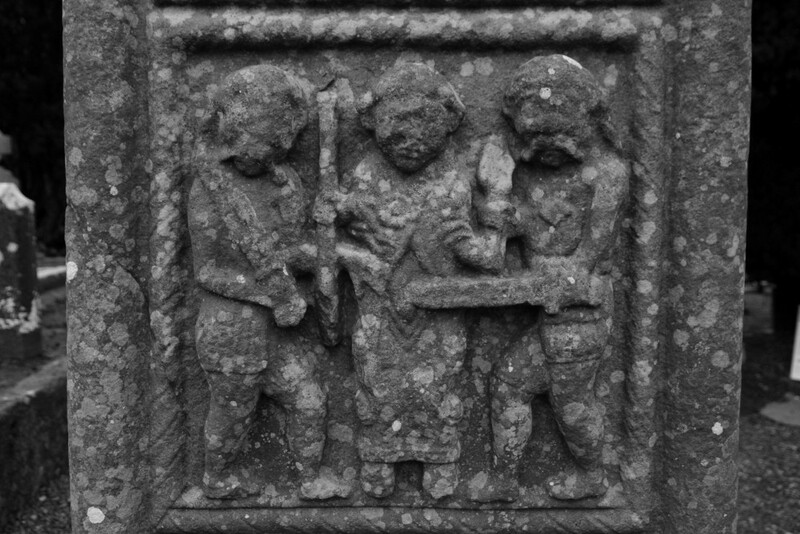 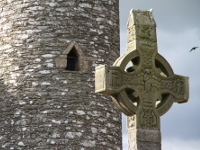 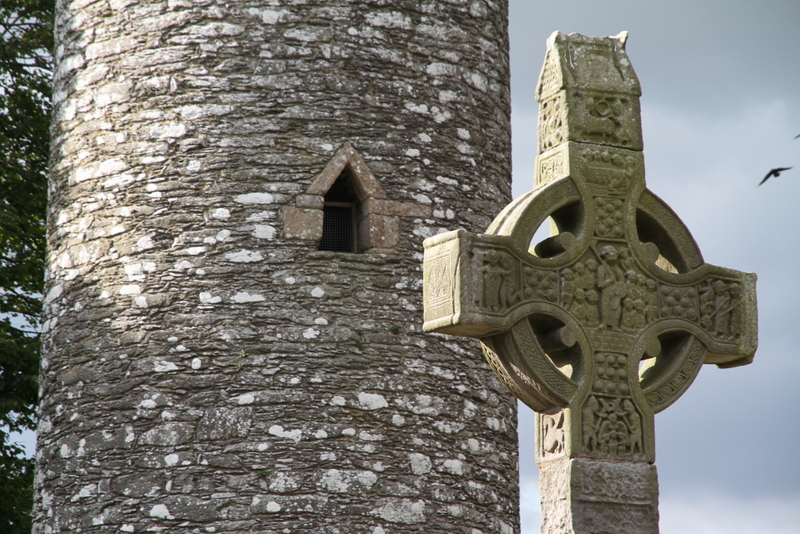 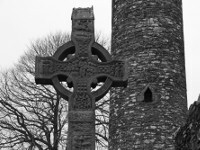 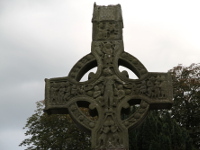 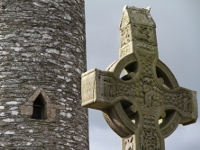 Muiredach's Cross is considered one of the most important early medieval sculpture in the world. 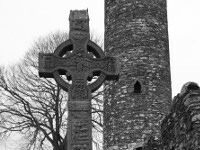 The West Cross is 6.50m high, what makes it tallest high cross in Ireland. 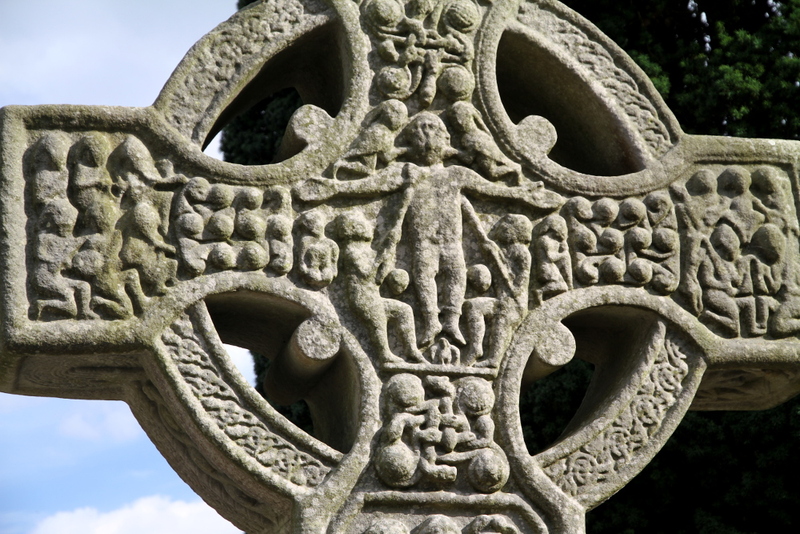 It also has largest number of biblical motifs carved on it. 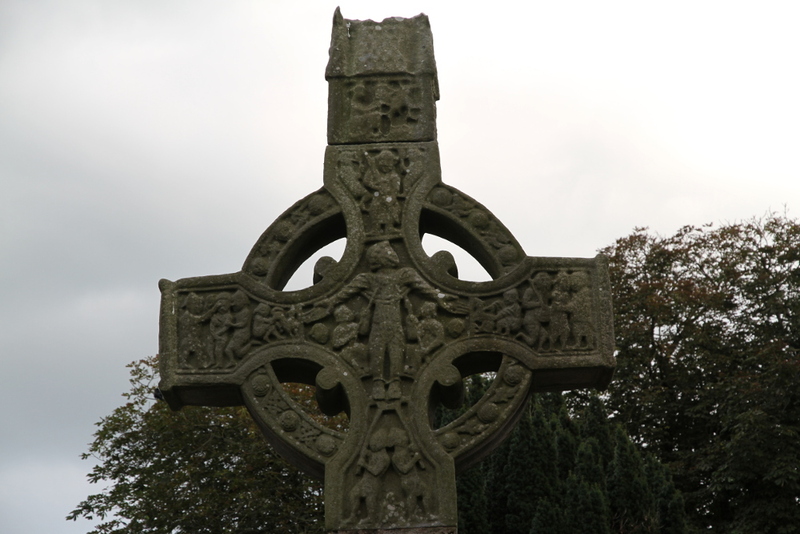 The third cross, called North Cross, is much plainer than the other two crosses. 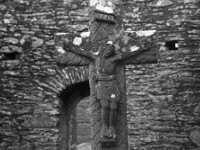 The face of the cross depicts the Crucifixion scene. 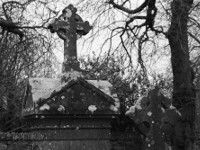 Amongs the other remains at Monasterboice are two early grave slabs and sundial stone.